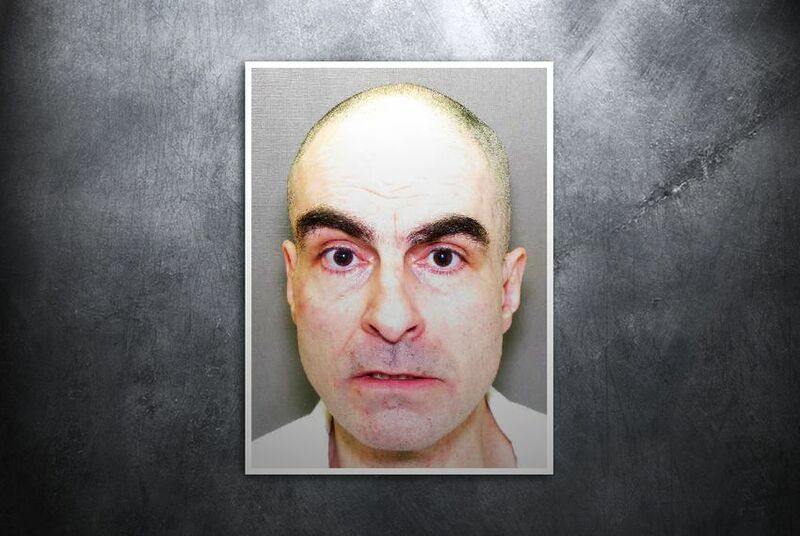 In a ruling issued Wednesday, the Texas Court of Criminal Appeals declared that Steven Staley, a mentally ill death row inmate, cannot be forcibly medicated for the purpose of making him competent for execution. Editor's note: This story has been updated throughout to include comment from lawyers involved in the case. The Texas Court of Criminal Appeals issued a ruling Wednesday declaring that Steven Staley, a mentally ill death row inmate, cannot be forcibly medicated for the purpose of making him competent for execution; and without medication, the judges decided, he is not competent to be executed. "We hold that the evidence conclusively shows that appellant's competency to be executed was achieved solely through the involuntary medication, which the trial court had no authority to order under the competency-to-be-executed statute," Judge Elsa Alcala wrote in the court's majority opinion. Staley fatally shot Fort Worth Steak and Ale restaurant manager Robert Read in the course of a 1989 robbery that came at the end of a four-state crime spree with two accomplices. He was sentenced to death in 1991. Staley has been diagnosed with paranoid schizophrenia. Jail staffers have found Staley in his cell covered with his feces and urine. He has bruised himself by banging his head against walls, and he has lain catatonic for so long that he wore a bald spot on the back of his head. "He believes there is a big conspiracy orchestrated by the state and that everybody, everybody, is part of the conspiracy," his attorney, John Stickels, said in May 2012. "He believes that he was wrongfully convicted because of the conspiracy." Stickels called the court's decision "the right thing" in Staley's case. "It's not civilized to forcibly medicate someone to get them competent so you can execute them," he said. Jim Gibson, an assistant criminal district attorney in Tarrant County, said the decision was disappointing and that the prosecutor's office is considering what steps to take next in the case. Without medication, he said, Staley will be left trapped with the demons in his head. "We’ve always thought it was unfortunate that because of his actions he’s consigning himself into a descent into madness," Gibson said. In February 2006, Staley's execution was stayed after the court found him mentally incompetent. In 2006, he told psychologist Mark Cunningham that the jury found him guilty because the judge was trying to steal his one-of-a-kind faded red 1958 Pontiac pickup, which he said had a $1.5 million street value, and because Oprah Winfrey paid off the jury. After that stay, Tarrant County state district Judge Wayne Salvant ordered Staley to be forcibly medicated. Staley's attorneys argued to the Court of Criminal Appeals, the state's highest criminal court, that it was unconstitutional to forcibly medicate inmates for the purpose of rendering them competent for execution. Tarrant County prosecutors argued that Staley needed to be medicated not solely for purposes of competency for execution but also to protect him from his own frightening delusions and psychosis. The American Psychiatric Association and the American Medical Association both consider it ethically unacceptable for doctors to provide treatments to patients when the purpose is for execution. And state supreme courts in Louisiana and South Carolina have ruled that forcibly medicating patients so they can be executed violates those states' constitutions. The court stayed Staley's execution in May 2012 to give the arguments in the case more consideration. In Wednesday’s ruling, the court did not answer the constitutional questions about medicating Staley so that he could be competent for execution. Instead, the judges ruled that Salvant did not have authority to order Staley to medicated. And, without that medication, they ruled, he was not competent for execution.